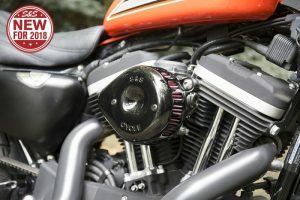 North Carolina based Rinehart Racing have added to their range of stunning exhaust systems and mufflers with the MotoPro45 Tradition for Harley-Davidson Touring models. Essentially the MotoPro 45 Tradition is a styled-down version of the MotoPro45. With a more traditional design (hence the name), cleaner lines, and solid colours, the new member of the MotoPro45 family is perfect for riders who want to fully black-out, or chrome-out their machines, or for any rider who prefers a clean and simple design. With the MotoPro45 Tradition you still get all the hallmarks of a Rinehart exhaust system; stunning design and attention to detail, quality materials and finishes, the famous Rinehart sound and impressive power gains. The MotoPro45 Tradition is available as a slip-on muffler or a full system for 2017up Harley-Davidson Touring models. Finishes include chrome with chrome end-caps, chrome with black end-caps, or full black-and-black. 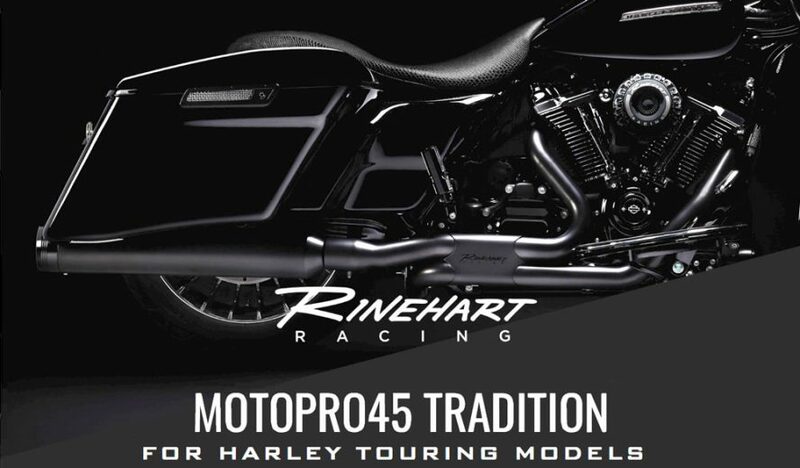 To see more of the MotoPro45 Tradition and the rest of the Rinehart Racing range, visit www.v-twin-exhaust.com.au today – home of Australia’s largest range of exhausts for Harley-Davidson and V-Twin motorcycles.